Summer is almost officially here! That means it’s time to start thinking about all the logistics of water related fun with a baby in tow. For some of us, that means holding someone while chasing after another someone. That’s where a water carrier comes in handy! They can be used at the beach, in a pool, or even in the shower. Most water carriers are lightweight, fast drying, and breathable which make them a good option for hot summer days. Some even provide UV protection. These are a few options that I have tried. Zanytoes makes a semi-customizable ring sling out of Solarweave fabric. Solarweave fabric helps provide sun protection. According to their website, “Solarweave rates excellent UV Protection and is UVBLOCK certified for certain protection after laundering. All colors are rated UPF 50+.” They recommend using this from 12-35 pounds, but I started using it at birth. It was a wonderfully cool option for my summer baby. The fabric was surprisingly soft, and their shoulder design is very comfortable. I was very happy using it with my newborn and have kept it around just for the versitility. 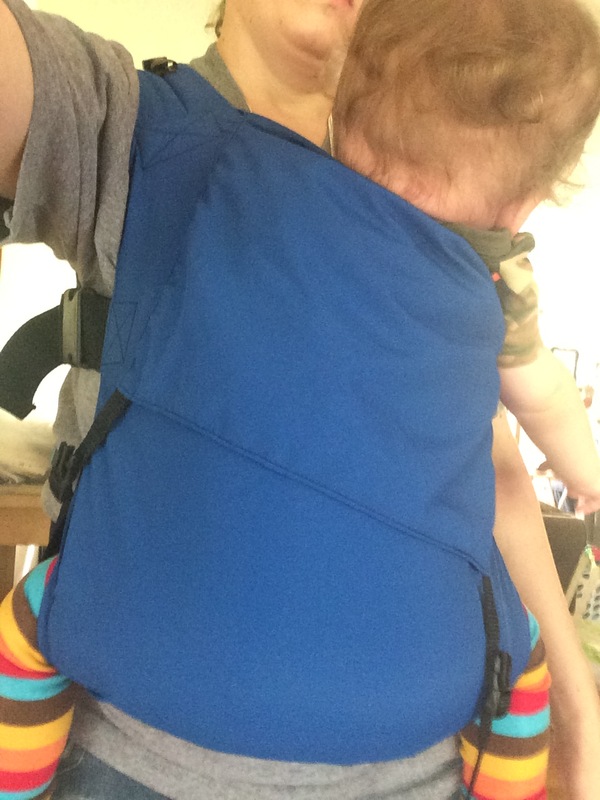 The sling packs up very small and is easy to stash in a diaper bag. It wouldn’t be my first choice for a very large baby or toddler for long periods, but it would work for short trips. Kokadi makes a water mei tai. It is make of polyester and elastin which felt very similar to stretchy swim suit material and provides some UV protection (their website states a UV rating of 20). 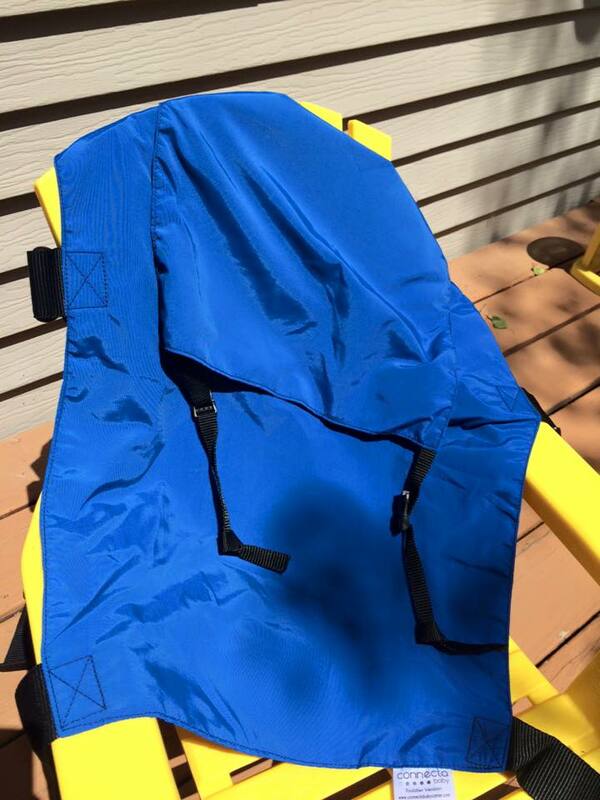 It does not provide any padding in the shoulder straps. I loved the pattern, being the big rainbow fan that I am. I did feel a little more hands-free with this than the ring sling, but I felt that my 50th percentile 6 month old was a little too saggy already. The fabric didn’t slip as I expected it to though, which was a nice surprise. It would be a good option for a newborn or smaller baby. This was one of my first carriers, so I will always have a soft spot in my heart for it. 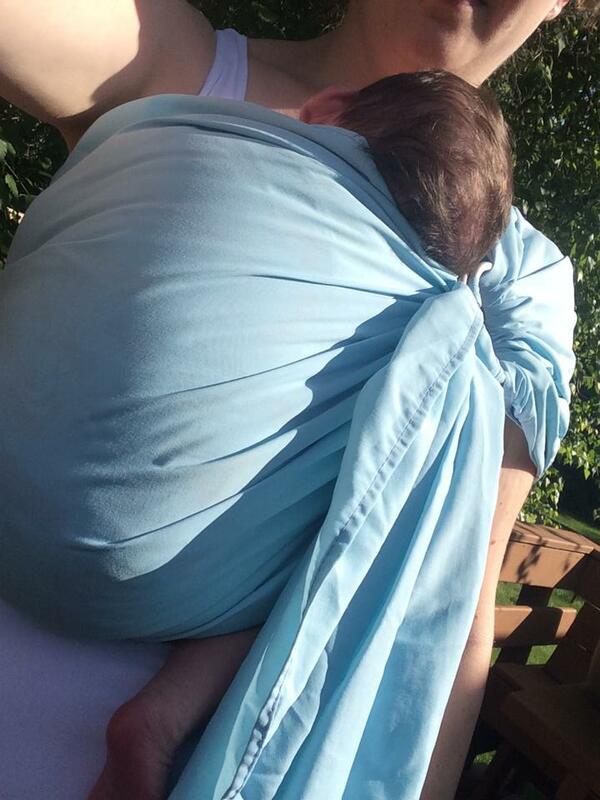 A water wrap has the same versatility other wraps have and can be used from birth on. Babyette no longer makes baby carriers, but this was a slicker mesh fabric. The passes could tend to slide around when dry, but would stay put when wet. It was supportive and not stretchy at all. I’ve heard that Beachfront water wrap is a similar type of mesh water wrap. There are also water wraps that tend to be more stretchy similar to the swim suit like material of the Kokadi water carriers. An example of those would be the WrapDuo water wrap. I would recommend trying them in person before buying so you can feel the fabric and know which type you prefer. Connecta Solar is buckle carrier made of Solarweave fabric. 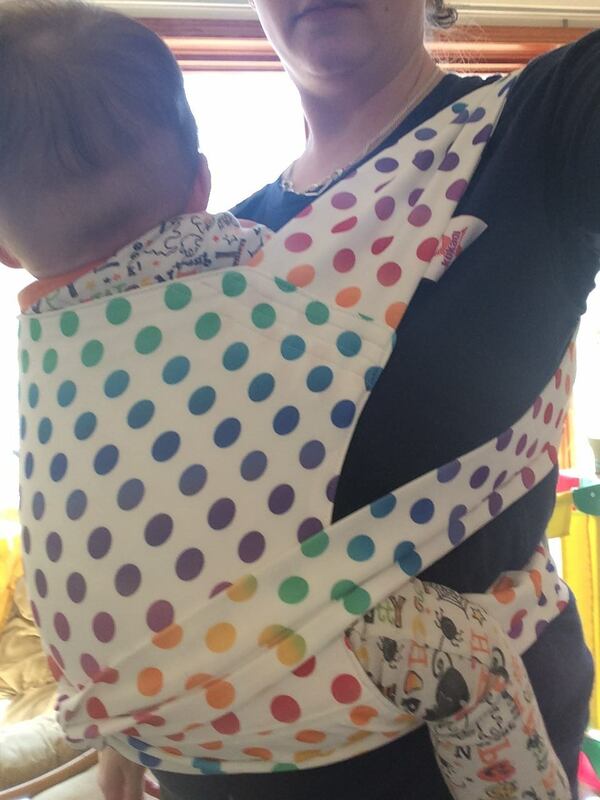 It provides lightly padded shoulders, a sleeping hood, and a multi-purpose strap (to use as a chest clip for back carries, to narrow the seat for smaller babies, or a strap to secure the folded carrier for storage). The shoulder strap webbing has a buckle near the body panel to allow the wearer to cross the straps in the back for added comfort. There is not a structured waist as there is with most buckle carriers. Similar to the Zanytoes sling, this fabric blocks 95- 99% of the suns harmful UVA and UVB rays. It is very breathable and easy to use. It comes in two sizes, standard or toddler. I got the toddler size for my 10 month old who is in size 24 month outfits. Due to the unstructured waist, it makes it very easy to wear apron style to adjust for a little smaller baby. This carrier is on the higher end of the price range for water carriers, but I am the most happy with it over the rest I’ve tried. It provides the best support and comfort for me. It also packs down very small to allow it to be stashed in a pool or diaper bag. What water carriers have you tried? What did you like/dislike? Let us know in the comments!